Whether you are watching movies, playing games, or listening to music, the Turtle Beach Ear Force i30 Premium Wireless Mobile Headset, with earcup controls that let you change volume, track selection and more, will immerse you in vibrant stereo sound. With Active Noise Cancellation that silences unwanted background noise, dual noise-cancelling boomless mics that provide outstanding voice pickup, and a built-in battery that allows over 15 hours of completely wireless use per charge, the i30 supports Bluetooth 3.0+ to connect wirelessly to your iPhone, iPad, or iPod touch, Samsung Galaxy, Motorola Nexus or Droid, HTC Evo or other Android phones. 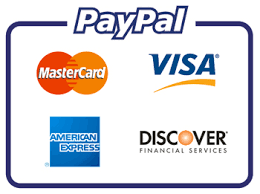 We accept all major credit cards through paypal check out. You do not have to have paypal account to pay for an item. When ebay directs you to a paypal payment page, you will just need to put in your credit card information. Typically, we ship in 1 business day after payment has been cleared. We ship UPS or USPS. We ship US continental 48 states and most of the international countries. Please check the lisging if the item is shipped to your country. We do not ship to APO/FPO address. Local pick up is not allowed. HI, GU, AK and PR customers : some items may be shipped to you. Please ask before buying. International buyers : Your country may impose customs duties, taxes, etc on the items being shipped from a foreign country. Please note we are not responsible for any charges imposed by your country’s customs office. We ship UPS Mail Innovation. UPS Mail Innovations is a joint venture between UPS and the USPS where packages are picked up from us by UPS and delivered to you by your country’s Postal Service. Our goal is to ensure your complete satisfaction with your purchase. If the product you ordered is defective, it will be either replaced or, a refund will be issued. Please note manufacturer’s warranty of the most of the items advertised as ‘manufacturer refurbished’ will not be available if not otherwise advertised in the individual listing. Following conditions need to be met to be eligible for a replacement or refund. If not stated otherwise in the auction, product must be returned within 30 days of receipt with all original accessories in the original box. Returned products must not have any sign of abuse or intentional damage. All returned products will be inspected before replacement is shipped or refund is issued. Non-defective returns or the returned products which are incomplete may subject to 15% of restocking fee. Leave us a message thru Ask Seller on the acuton you won to get a RMA number(Return Merchandise Authorization). We will email you a RMA number. Ship via traceable means. We are not responsible for the lost package in transit. We will either replace or refund the payment in 5 days after receipt. Customer satisfaction is our goal and the core value of our company. If, for any reason, you are not satisfied with your purchase, contact us for an easy and quick resolution. We are open Monday through Friday from 9:30 am to 4:00 pm PST. Your questions will be replied within 1 business day. Any auctions or correspondence that occur ove the weekend or holiday will be handled in the following business.